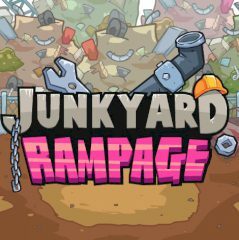 Use a crane for building a tower of cars and when you miss one, prepare for rampage! Drop a guy to destroy it! Have fun on the junkyard and build towers from used cars. You need to drop the accurately and get points. When you are finished drop a guy that smash it!